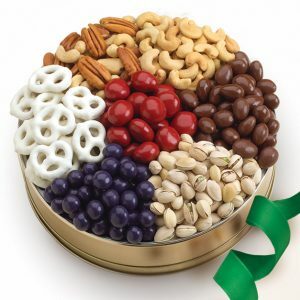 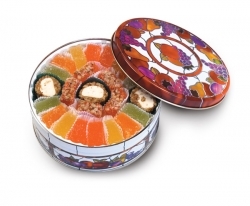 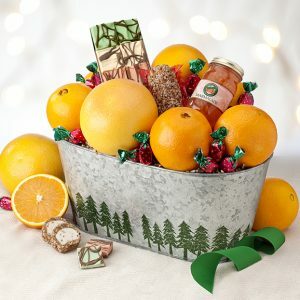 A special mix of delectable, milk chocolate-covered nuts handsomely arranged in a colorful tin. 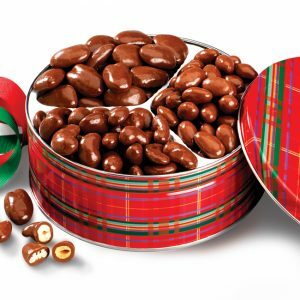 You’ll receive jumbo roasted pecan halves coated with Amaretto chocolate, whole cashews rolled in milk chocolate and chocolate-covered almonds. 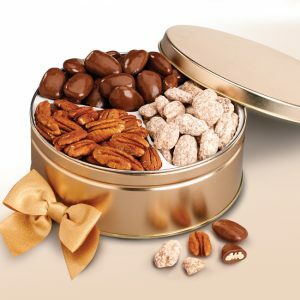 A gift that will please any chocolate lover!